Out at sea, in a sudden storm, a man is struck by lightning. When he wakes, injured and adrift on a kayak, his memory of who he is and how he came to be here is all but shattered. He will need to rely on his instincts, resilience, and imagination to get safely back to the woman he dimly senses is waiting for his return. This is an extraordinary, visceral portrait of a man locked in a struggle with the forces of nature. Cynan Jones was born near Aberaeron on the West coast of Wales in 1975. He is the author of five novels: The Long Dry; Everything I Found on the Beach; Bird, Blood, Snow; The Dig; and Cove. His work has been published in more than twenty countries and his short stories have appeared in publications including Granta and The New Yorker. He has won a Betty Trask Award, a Jerwood Fiction Prize, the Wales Book of the Year Fiction Prize, and the 2017 BBC National Short Story Award. 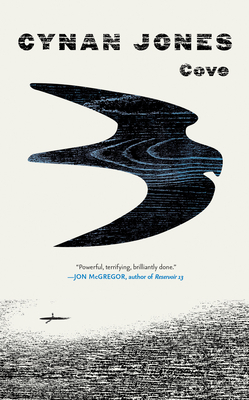 He has been longlisted for the Kirkus Prize, the Warwick Prize, and the Europese Literatuurprijs, and short-listed for the Sunday Times EFG Private Bank Short Story Award.